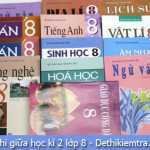 Đề thi giữa học kì 2 lớp 8 môn Anh – Phòng GDĐT Bình Giang có đáp án năm học 2016 – 2017. Đề thi trong chương trình thí điểm làm 60 phút. 1. Jill lives at 7 Mail Street. 2. Jill has few friends in her class. 3. She loves swimming, hockey and basketball. 4. She loves reading comic. 2. There ________less pollution if there ________- fewer vehicles on the road. 3. We __________all the garbage on the beach before he came this morning. 4. People cough _____________they breathe in the exhausted fumes from cars. 5. We are trying _____________- out new sources of energy. 6. Last month several activities ________- to raise money for the poor in our town. 7. If we ________- less paper, more trees ________saved. A. That’s great! B. How wonderful! C. Oh dear! D. A & B are correct. 9. We have planted trees around the factories to ________- air pollution. 10. Some aquatic creatures are unable to reproduce _____- the increase in water temperature. C. due to D. B & C are correct. The Great Hanshin earthquake, or Kobe earthquake, occurred on January 17, 1995 at 05:46:53 a.m. in the southern part of Hyōgo Prefecture, Japan. It measured 7.3 on Japan Meteorological Agency magnitude scale. The tremors lasted for approximately 20 seconds. The focus of the earthquake was located 17 km beneath its epicenter, on the northern end of Awaji Island, 20 km away from the city of Kobe. Up to 6,434 people lost their lives; about 4,600 of them were from Kobe. Among major cities, Kobe, with its population of 1.5 million, was the closest to the epicenter and hit by the strongest tremors. This was Japan’s worst earthquake in the 20th century after the Great Kantō earthquake in 1923, which claimed more than 140,000 lives. 1. Kobe earthquake happened 21 years ago. 2. Kobe had a population of 4,600 people. 3. More than two thirds of people killed in Kobe earthquake were from Kobe. 4. The Great Kantō earthquake in 1923 was Japan’s worst earthquake in the 20th century. 1. Where did Kobe earthquake occur? 2. How long did the tremors last? 3. Was Kobe the closest city to the epicenter and hit by the strongest tremors? 1. Air pollution in our city becomes worse because we have more cars. 2. The rescue team provided the victims with food and water. 3. Many new diseases have appeared because the environment is polluted. I. Choose the word that has the underlined part pronounced differently. 1. If we didn’t have more cars, air pollution in our city wouldn’t become worse. 3. 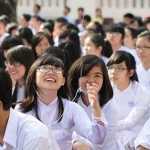 Because of the polluted environment, many new diseases have appeared. OR: Because of the environment’s being polluted, many new diseases have appeared.